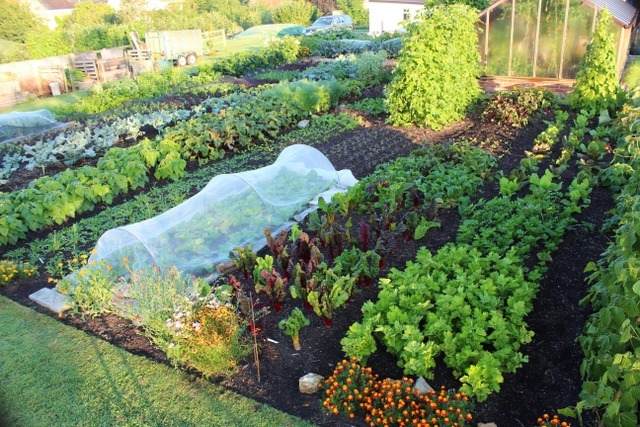 Run by Charles Dowding, an expert in his field, this one day course focuses on the principles and methods of 'No Dig' organic gardening. Charles Dowding graduated from Cambridge in 1980 and then started an organic, no dig market garden. He is self-taught and learns from observation at home and abroad, is trialling new methods all the time. By 1988 his market garden covered seven acres of undug beds. Now he crops more intensively from just a quarter acre, growing year-round salad leaves and vegetables for local shops and restaurants. There are experiments too, comparing plant growth on dug and undug beds, and beds with different composts.His no dig methods are tuned to wet climates, for minimising losses to slugs. Compost is his preferred mulch and even when it may contain weed seeds, he has perfected methods to deal with them and keep the garden spotlessly clean. This saves a lot of time, which is vital in order to make production economic. Charles has distilled his experience into several films and seven books on vegetable growing. He writes articles for national and local gardening publications, gives talks home and abroad, and runs frequent courses at Homeacres and elsewhere. The theme is simplicity and saving time, to grow more plants with less effort. The teaching environment of the cookery school gardens and farm is an ideal setting in which to deliver this course. Participants will also enjoy a slide show in the cookery school demonstration room of the wonderful results obtained by Charles in his own garden. The course includes tea and coffee on arrival, as well as a delicious three course lunch at the school. How to Create a New Vegetable Garden. Green Books 2015 £19.99. Courses on during week of 20th May.